Your Tackle Bag | Capt Tony's "Walkingangler.com"
Two of the most guarded secrets an angler keeps is their favorite fishing spot and the contents of their tackle bag. While secret fishing spots are frequently shared only to close friends, their tackle bags contents can be held stealth for years. To guard that secret, most anglers will quickly retrieve gear from their bags away from spying eyes. 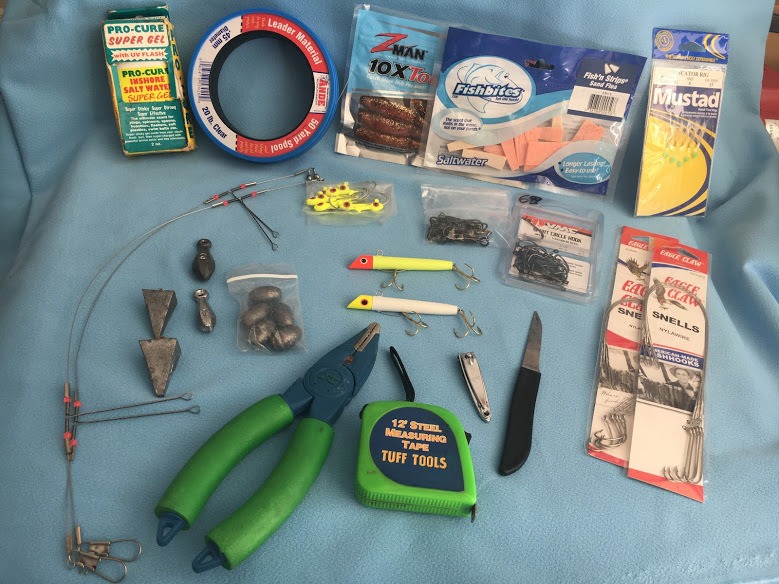 It’s probably no secret to the contents of a typical tackle bag but serious anglers can be a little funny on their favorite and probably the most reliable lures and techniques. The tackle bag, as a general rule, should only include items you will need on the current fishing trip. But lots of anglers, including this author, use the bag sometimes as a storage box for everything they possibly could ever use even if it doesn’t work on every trip. While a great place to store gear when not in use it’s especially not one to drag out on each trip. Tackle bag contents will vary depending on the target species and fishing location. Standard contents should at least include a collection of sinkers, hooks and terminal rigging gear. Also several types of two hook bottom rigs, Carolina rig and several self-made or purchased bottom or pompano rigs are needed for those special occasions. Sabiki rigs are great for catching your own live bait. Anglers should also carry a small bait knife, cutting board, finger nail clippers, and pliers, tape measure, and fish grippers. Several rags will help steady a fish to remove hooks – but remember, if holding a fish with a rag make sure it’s wet. Dry rags can wipe the protective slim off a wiggling fish quickly. The bag should also include a variety jigging gear with a variety of lead heads, various soft swim baits, and several different got-cha plugs or top water hard baits. A bottle of attractant will help enhance the artificial to smell similar to real bait fish. A tackle bag with not be complete without “fish-bites” or some type of artificial baits. 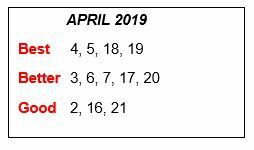 This list is definitely not complete and inclusive but it should give the new or occasional angler as least a start on filing that tackle bag with basic gear. Of course, there is always time to load it so full of the angler’s special and most reliable gear, which like the author, can act more like a storage bin than a tackle bag. One tip: Put extra gear that will not be used that day in a rubber-made crate in your vehicle. That way, the gear won’t load down you bag but if needed it’s just a quick walk back to your vehicle.